Update July 2009- This necklace won 1st place in the necklaces category of The Bead Arts Awards. 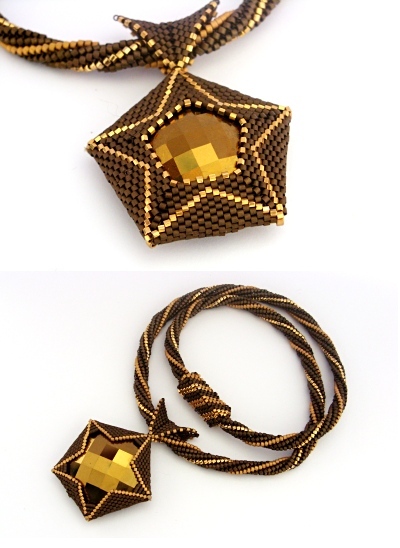 A beaded necklace with a double-sided pendant based on geometric shapes. You can see some other colour schemes in this pendant here and here.